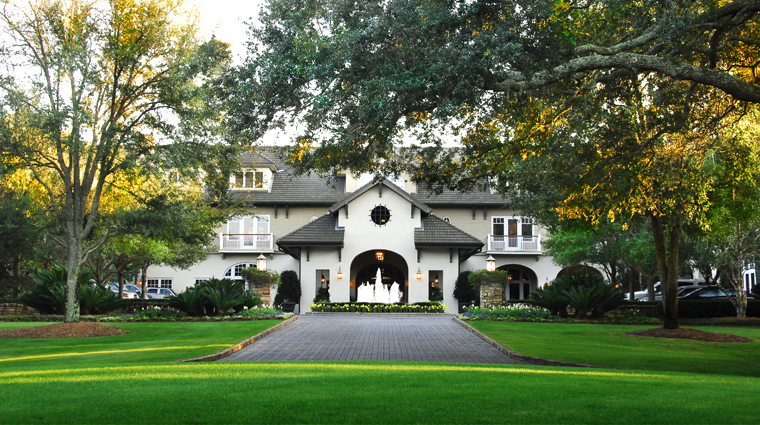 Generations of privileged travelers have made Sea Island their top vacation destination. 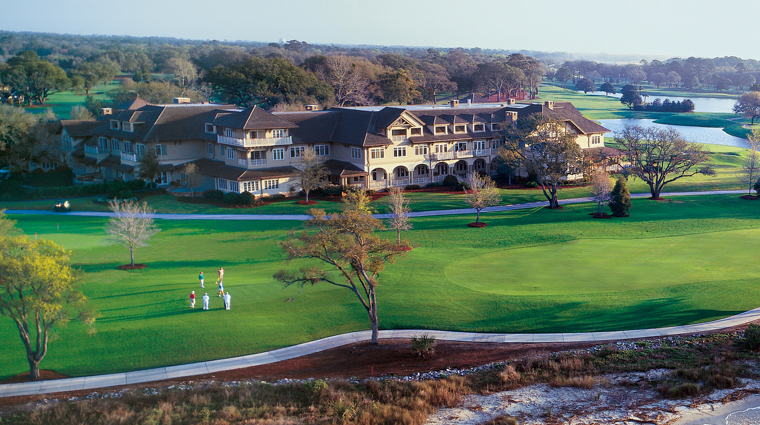 Created in the spirit of European sporting estates, The Lodge at Sea Island Golf Club features first-rate tennis and equestrian facilities, three championship golf courses and tastefully decorated accommodations with private balconies. 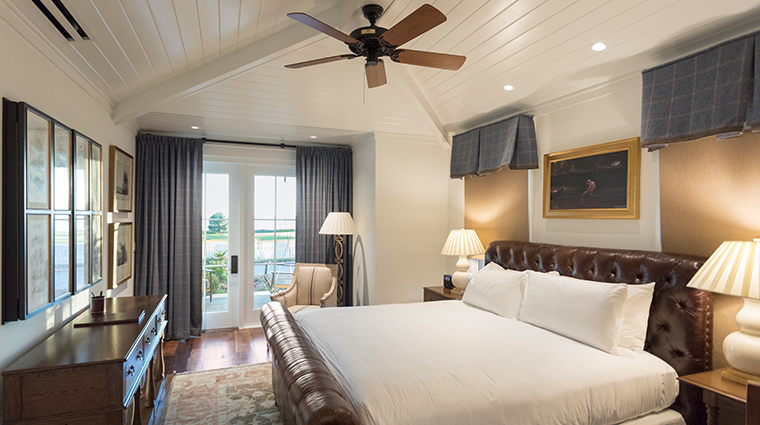 Guestrooms in the main lodge are styled with hardwood floors, exposed beam ceilings and private balconies overlooking the rolling fairways of the Plantation Golf Course, St. Simons Sound or the Atlantic Ocean. 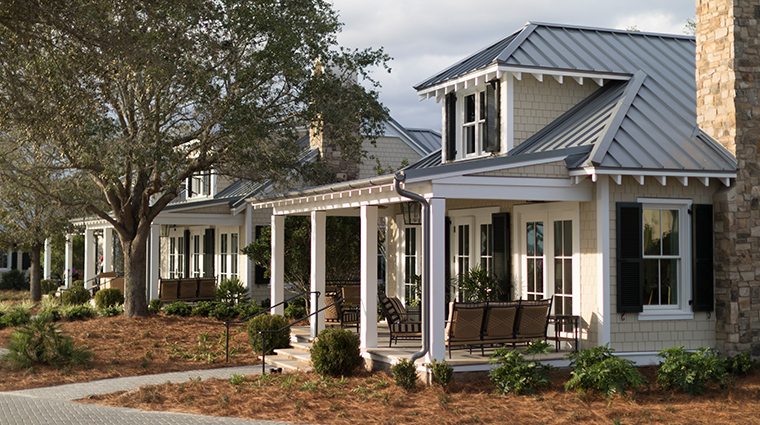 Newly opened oceanfront cottages at The Lodge provide extra elbow room with adjoining living rooms. The hotel's sister property, the Forbes Travel Guide Five-Star Cloister, is nearby and provides additional dining choices, the Five-Star Sea Island Spa and access to the superb Sea Island Beach Club. Not one to rest on its luxurious laurels, the coastal resort is completing a $30 million renovation with six sumptuous cottages, an oceanfront pool and pool house. The property has also recently unveiled a brand-new 17,000-square-foot Golf Performance Center, and is planning to debut a complete redesign of its popular Plantation Golf Course just in time for the RSM Classic in November. Each room at the luxury hotel comes with a butler who is able to do almost anything for you (within reason) from pressing your shirts and shining your shoes to making you a midnight snack. Perched right on the Atlantic Ocean, the Forbes Travel Guide Five-Star hotel offers picturesque views from its rooms, veranda and plush lawn. With its proximity to the impeccably manicured courses at the Golf Club at Sea Island, you’ll enjoy world-class play in an unmatched, oceanside setting. 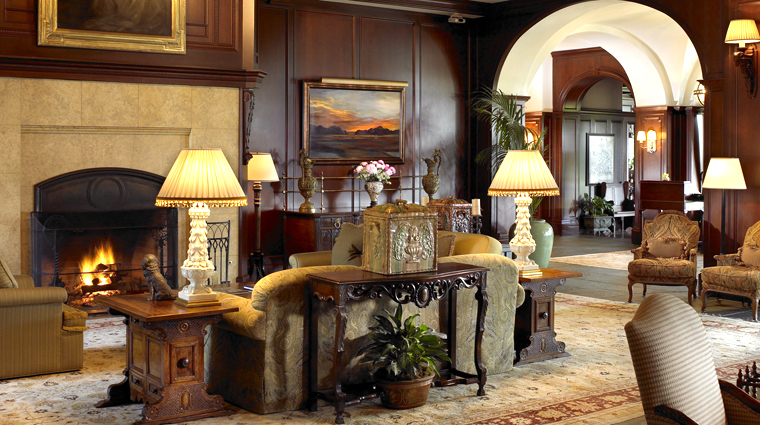 The style of the hotel reminds us of an old-school country club. The building itself exudes a grand and historic feel, and once inside, you’ll be treated to elegant touches such as hardwood floors, dark wood trim, antiques, oriental rugs and overstuffed chairs. The Lodge at Sea Island oozes romance with plenty of snuggle-worthy spots, including the wood-burning fireplaces, elegant terraces and plush back lawn complete with lounge chairs overlooking the fairway and the ocean beyond. Each evening here, a bagpipe player strolls down to the shoreline just before sunset to serenade guests with some traditional tunes. This luxurious Southern retreat knows how to do golf and romance, but it can also keep tiny travelers entertained for days. From tennis and archery lessons to fishing 101 and kid-focused spa treatments, this Five-Star resort creates fun in the sun for visitors of every age. The guests here dress the part of country club chic. Everywhere you look, you’ll spot guests dressed in their best, so you’ll want to follow suit. The popular Plantation Golf Course is currently closed. The links are undergoing a complete refresh at the hands of Love Golf Design to debut just in time for the annual RSM Classic in November. The accommodations at the Sea Island resort are incredibly spacious. 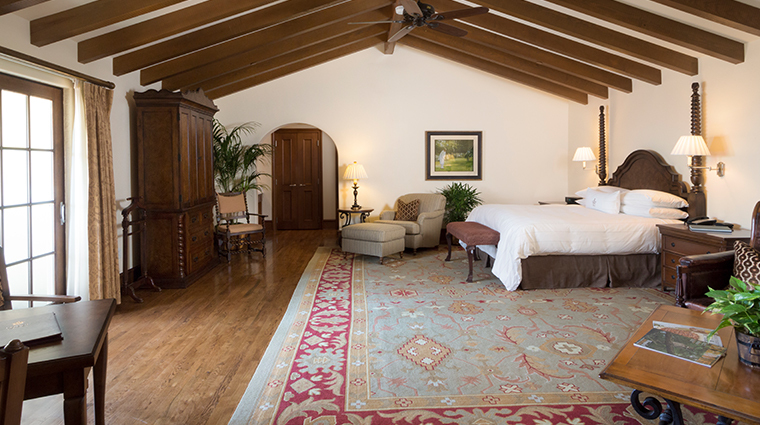 Regular rooms offer up 700 square feet of space, while the suites let you spread out in 1,000 square feet. No matter which one you stay in, you’ll be treated to classic décor made up of hardwood floors, oriental rugs, exposed wood ceilings and marble countertops in the bathrooms. The bathrooms feature marble baths with deep-soaking tubs and rain head showers, as well as a spacious double vanity. 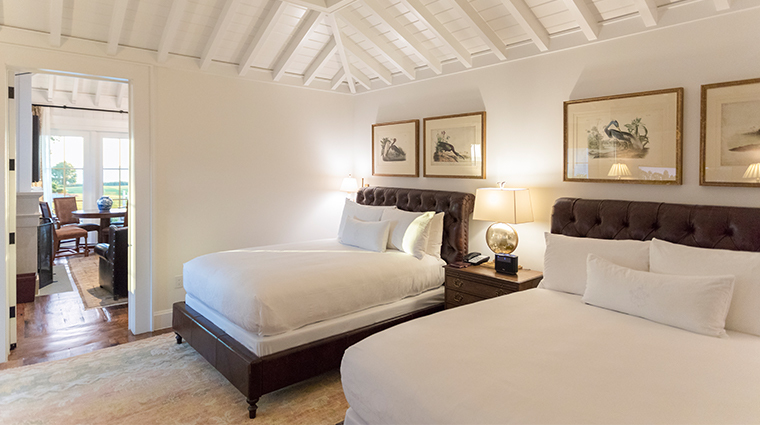 Six recently completed cottages add an additional 14 ocean-facing rooms to the luxurious property. Five of the accommodations offer two bedrooms, while the largest features four, but all include local art, hardwood floors, marble bathrooms and spectacular vistas. The Oak Room is the more casual of the hotel’s two restaurants, with the look and feel of a high-class pub complete with leather ceilings and a wood-burning fireplace. Chow down on dishes such as the steak Caesar salad or the award-winning shrimp and grits and then complement your meal with one of the Oak Room's many beers on tap, a single-malt scotch or even a cigar from its temperature-controlled humidor. 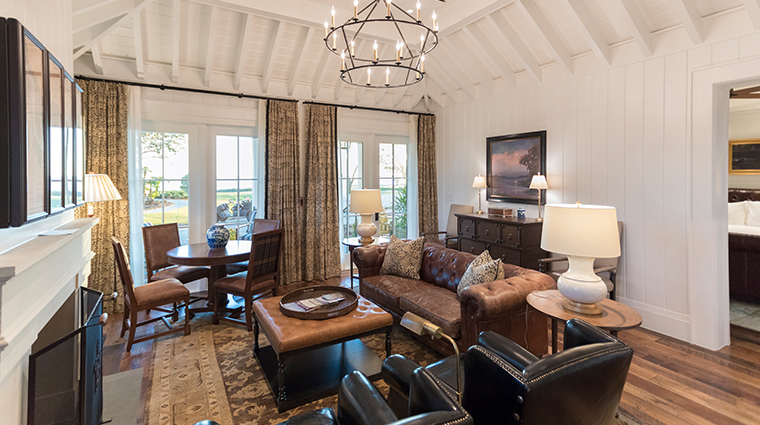 The elegant Colt & Alison features leather chairs, cozy banquettes and a wood-burning fireplace, as well as panoramic views of the 18th hole of the Plantation golf course that's just outside. Enjoy table-side specialties at Colt & Alison such as filet mignon au poivre or bananas foster, as well as seafood dishes like the Maine lobster or snapper with collards and blue crab dirty rice.